Indiana’s hospitals are grappling with the ongoing nursing shortage as they resort to unconventional methods to fill thousands of vacant nursing positions. Sizeable bonuses and nurse residency programs are just some benefits nurses can expect as employers seek to relieve current nurse employees from the demands of long hours and understaffed wards. The nursing shortage occurs in waves. A few years ago, hospitals reduced jobs in response to slower admissions and smaller reimbursements. Today, as patient volumes surge, nursing has earned a place at the top of the Indiana Department of Workforce Development’s list of in-demand jobs. In response to the statewide nursing shortage, colleges and universities have taken steps to increase their nursing school enrollment. The goal is to produce enough new nurses to meet the population’s demand for healthcare services and replace the 54 percent of the nursing workforce who are expected to retire within the next decade. According to the Indiana Center for Nursing, there’s more than enough interest in the profession. The challenge is lack of faculty and spots for the thousands of applicants that apply for nursing school. Enrolling in the associate degree in nursing (ADN) program is even more competitive than the baccalaureate degree in nursing (BSN) as many adults choose the fastest and most affordable path to registered nursing. 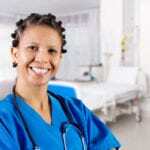 Persons interested in a career in nursing must find ways to become competitive for admission. The good news is that the swelling demand for nurses will not decline anytime soon. The aging workforce approaching retirement is a huge factor in the need for more nurses. However, the biggest demands arise from the aging baby boomer population. Four out of every five adults suffer from at least one chronic illness. A situation that is driving demands for nurses and other healthcare professionals. The associate degree in nursing prepares students for competent practice as a registered nurse. The curriculum provides a solid foundation in the principles of nursing through the incorporation of theoretical and practical instruction. The associate degree is an accepted course of study for gaining eligibility to take the NCLEX-RN to practice as a registered nurse. Due to its short-term nature, when compared to the baccalaureate degree, it stands as the most common point of entry into the profession. Graduates are equipped to deliver bedside care. However, as the role of registered nurses increases, the ADN should be a stepping-stone to further study. The ADN curriculum includes a balance of nursing, science and general educational courses. Areas of study include anatomy and physiology, college algebra, dosage calculations for nursing, general psychology, fundamentals of nursing, medical/surgical nursing, human growth and development, women’s health, newborn nursing, microbiology, nursing care of children, mental health nursing, and sociology. To reinforce the classroom instructions, students will have opportunities to apply their knowledge in a simulation/skills lab throughout the program. Additional opportunities for practical training will be presented through supervised clinical experiences in a variety of medical facilities. The simulation and supervised clinical experiences afford opportunities for students to make critical decisions and see the result of each decision. Examples of clinical settings include nursing homes, hospitals, rehabilitation centers, and clinics. Students will be expected to provide their own transport to the clinical site. The program requires completion of at least 72 credits to be conferred with the degree to be eligible to write the NCLEX-RN. Graduates who successfully pass the exam will have opportunities for entry level nursing positions in numerous healthcare settings. They also have the option to continue their education to complete a baccalaureate, masters, or doctoral degree in nursing or another related field. Indiana’s colleges and universities turn away hundreds of qualified applicants each year due to a shortage of spots in each program. Nursing as a profession has garnered wide interest, which has increased the volume of applications submitted to nursing schools each year. Programs employ selective admission. In some cases, you will have to complete the prerequisite requirements. Application to the nursing program may also require a separate application and process to that of securing admission to the college as a degree-seeking student. The list below outlines general admission requirements. For specific details, visit the school’s website. Information sessions will also provide details for admission to the program and present opportunities for asking questions before you begin the enrollment process. A completed application submitted before the program deadline. Be a graduate of an approved high school or equivalent. Complete prerequisite courses. Examples include algebra, chemistry, biology. Official transcripts of college-level courses. The ADN can be completed in two years or less after you’re admitted to the program. Your commitment will determine how soon you complete the program to begin working. For colleges where tuition is a flat rate per semester, you’ll also reap an additional benefit of paying less for the total cost of tuition. Nursing school is an investment that will pay off almost immediately as graduates typically begin working upon licensure. Tuition is approximately $9,730. Students must also budget for textbooks, fees, nursing supplies and equipment, health requirements, insurance, and miscellaneous expenses. The process for acquiring a license to practice as a registered nurse in Indiana requires completion of two applications: an application for licensure by exam or endorsement and an application to register for the NCLEX. The application for licensure must be submitted with all the required documents to the Indiana Professional Licensing Agency. This step is an essential part of obtaining authorization from the Indiana State Board of Nursing to take the NCLEX. Applicants for endorsement must complete a criminal background check and provide verification of a current, active license to practice as a registered nurse in another state. Endorsement candidates may apply for a temporary permit to practice while the application is in process. As a graduate of a state-approved registered nursing program, your next step to becoming eligible to practice in Indiana is to apply to the Indiana Professional Licensing Agency (IPLA) for approval to take the NCLEX for registered nurses. An application fully completed in dark-colored ink. A copy of your GED scores if you have not completed high school. A full explanation of any violation, location, date and disposition if you answer “yes” to any questions on page 2 of the application. Submit copies of court documentation for each instance if you answer question 3 with a positive response. A 2.5 x 3.5 professional photograph revealing your head and shoulders. The school’s Dean should sign the lower front of the photograph and affix the school seal. You must also sign the photograph. The application fee of $50 payable using a check or money order made out to the Indiana Professional Licensing Agency. Certificate of Completion form. The Dean/Director/Designee of the nursing program must complete the certificate and mail to the IPLA before you receive eligibility to take the exam. The Board will not accept certificates submitted by a candidate. Mail the application, documents, and fee to the IPLA address provided at the end of this page. Answer all the questions on the application as best as you can. Withholding or providing false information will result in denial of licensure. Exam results will be available at least three weeks from the date you took the exam. If you pass the exam and meet all other requirements for licensure, you will receive an email with your license number from the IPLA. You may also verify your license online at http://www.in.gov/pla. NCLEX-RN Registration: instructions for registering for the NCLEX is available in the Candidate Bulletin. The bulletin is accessible at http://www.ncsbn.org. You may register for the exam by mail, telephone or on the Internet. The registration fee is $200. If you fail the exam, you must pay another fee for the exam. Certified check, money order or cashier’s check must be made out to the National Council of State Boards of Nursing. If you require special accommodations for a modification of the normal exam procedures, you must notify the IPLA in writing when you submit the application for the exam. Include a letter from a health profession confirming your disability or limitations as well as a letter from the nursing program indication the accommodations made during the program. The IPLA will send notification of any arrangements made for the exam. 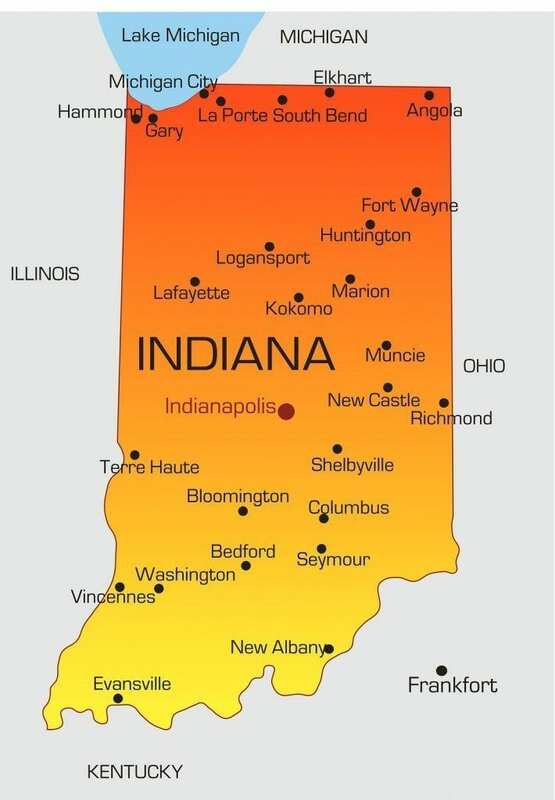 If you’re licensed as a registered nurse in another US state or territory, you may apply for licensure by endorsement to practice in Indiana. A completed application printed neatly in blue or black ink. A 2.5 x 3.5 professional photograph revealing your head and shoulders. You must sign the photograph. Proof of current, active licensure in another state including documentation of the licensure expiration date. You will not be eligible for licensure by endorsement if you do not have an active license in another state. Documentation of legal name change if your name differs on any of the submitted documents. Official documentation of graduation from an accredited program if your state of original licensure does not verify the education of candidates. Verification of licensure from every state or country that you hold or ever held a license to practice as a registered nurse. Verification may be submitted using the NURSYS program if your state of licensure participates or using the Verification of State Licensure Form. Note: You must complete a criminal background check but only after receiving notification from IPLA staff that your application has been received. A temporary permit is available to candidates who submit a completed application for licensure by endorsement, proof of current and active licensure in another state, the application fee and temporary permit fee of $10, a professional quality photograph, and a completed criminal background check. Official nursing school transcripts as evaluated by a credentials evaluation service such as CGFNS. Official copy of high school diploma or equivalent. All official documents must be an original or notarized copy submitted directly from another state board of nursing or nursing program. They must be officially translated if not in English. Official nursing school transcripts, which specify theory and clinical experience. Verification from the original state of licensure that you have passed the NCLEX, SBTPE, or CNATS exam. Registered nurses’ licenses expire on October 31 of odd-numbered years. The renewal fee is $50. A late fee of $50 will be assessed if you do not renew your licensure by the expiration date. It is your responsibility to ensure that you maintain an up-to-date address at the IPLA. A notification of your upcoming renewal will be sent to your email address and your physical address. You may update your address online on the Board’s website. Log into MyLicense.IN.gov using your license number and last four digits of your social security number. Registered Nurses do not have to complete continuing education for regular renewal of their licenses. If you attempt to renew your license after it has been expired for 3 years or more, you must complete a refresher course including a clinical component in addition to continuing education requirements if you are not currently licensed in another state. There’s no doubt that nurses are well paid. The median wage for a registered nurse was $68,450 in 2016, according to the U.S. Bureau of Labor Statistics. Indiana’s registered nurses earn an average salary of $58,320, according to the Indiana Department of Workforce Development. The shortage of nurses and scramble to fill vacant positions create an interesting scenario for nurses. New graduates can benefit from hiring bonuses and residency programs. Some may even secure a promise of employment well before graduation. Employers in large metropolitan areas create compensation packages to be competitive and attract the best talent. In the less desirable rural communities, medical employers might not be in a position to compete. However, new graduates who are challenged to find a position in the larger cities can seek out vacant opportunities in the rural areas. Apart from the demand in the metropolitan and rural communities of Indiana, nurses are needed in home care and long-term facilities to care for seniors and disabled adults. Visiting nurses are in short supply as evidenced from the volume agency ads for hire. The all-around shortage in several care settings and cities means there’s a positive outlook for the profession of nursing that will carry well into the next decade.